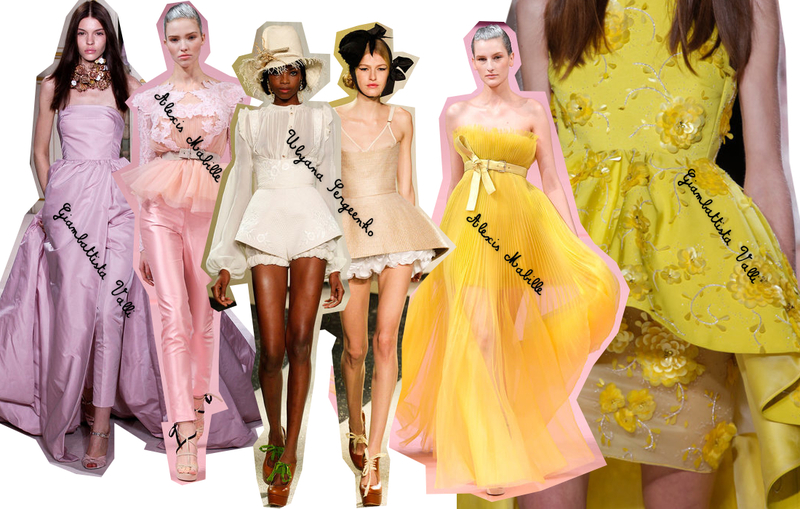 SS13 COUTURE LOOKS SO PRETTY. Pretty colors, pretty fabrics. Feather and flower embellishments. Very girly at first sight but also womanly when you look at the details..